This exhibition presents a personal view on the home as a work of art and on collecting as a way of life. Joe Hedlund, a distinguished painter, will reconstruct parts of his home and studio inside one of the museum galleries. The show will feature a rich selection of objects from the artist’s private collection of Asian ceramics, archaeological findings and folk art from all over the world. In his home, the objects fill the floors and walls in a way that is oppositional to the ideal of the modern and functional home. 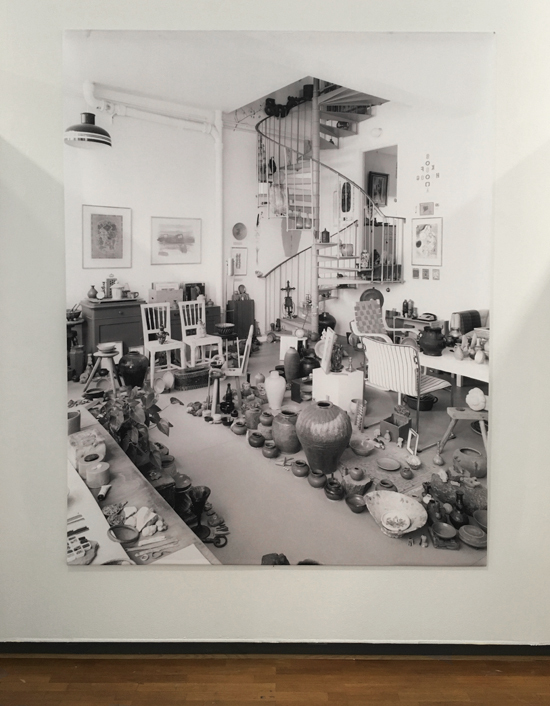 Mikael Olsson´s photograph from 2007, originally for Paletten Art Magazine, of his studio and home are represented in the exhibition. 11 Jun – 25 Sep 2016.